The Chinese ride-hailing service 滴滴出行 Dīdī Chūxíng has become a VERY popular alternative to traditional taxis and public transport across China. But what exactly is it that people like about it? And what are some things they feel could be better..? In this video, five 滴滴出行 Dīdī Chūxíng users share their thoughts. 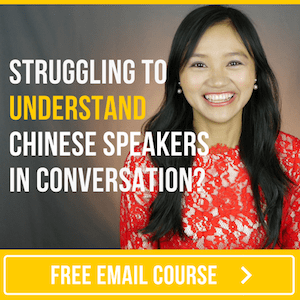 Press play to practise your Chinese listening ability and find out what they think! In the video I highlighted 6 sentence patterns that were used to state the pros and cons of using Didi Chuxing — you’ll see more examples of how each pattern can be used below. I think the advantage is that __________. lì de huà，wǒ jué de jiù bǐ jiào fāng biàn ba. I think the advantage is that... it's quite convenient. I think the advantage is that... the price is really low. The advantage is that ___________. lì de huà, tā kě néng bù xiàng dī shì nèi yàng. yīn wèi dī shì, tā zài zhōng guó de huà，dī shì yǒu jiāo bān qī. nèi xiē dī shì huì jù zài. The advantage is that it's not like (regular) taxis... Because, in China, taxis have periods where they get handed over to the next workshift. Those taxis will refuse to take passengers. lì de huà，tā yǒu qī nián de gōng zuò jīng yàn. The advantage is that he has seven years of work experience. The advantage of __________ is probably that__________. dī dī chū xíng lì de huà，yīng gāi jiù shì…nǐ kě yǐ suí shí tōng guò shǒu jī lái jìn xíng yī gè jiào chē. The advantage of Didi Chuxing is probably that... you can always call a car with your mobile phone. wǎng gòu lì de huà，yīng gāi jiù shì…nǐ kě yǐ jì shěng qián yòu shěng shí jiān. The advantage of online shopping is probably that... you can both save money and time. bù hǎo de dì fāng jiù shì __________. The bad thing is that __________. bù hǎo de dì fāng jiù shì，qí shí tā de ān quán méi yǒu bèi wán quán de bǎo zhàng. The bad thing is that... Actually, safety is not fully ensured. bù hǎo de dì fāng jiù shì，shàng hǎi de kōng qì wū rǎn yán zhòng. The bad thing is that the air pollution in Shanghai is serious. shuō dào bì de huà，nà yīng gāi jiù shì yǒu yī xiē sī jī, tā de fú wù tài dù bù shì hěn hǎo. kě néng huì yù dào yī xiē pí qì bǐ jiào bào zào de sī jī，nǐ huì jué de... fú wù de gǎn shòu bù shì hěn hǎo. When it comes to the disadvantage... it 's probably that...... there are some drivers... His/her service attitude is not so good. You may meet some quite hot-tempered drivers. You'll feel... The service experience is not so good. shuō dào bì de huà，nà yīng gāi jiù shì gōng gòng qì chē tài yōng jǐ le， tè bié shì zài gāo fēng qī de shí hòu， nǐ gēn běn méi yǒu bàn fǎ jǐ shàng chē. When it comes to the disadvantage... it 's probably that...... the bus is too crowded. Especially during the rush hour, there's no way you can get on the bus. méi shén me tài duō de bì chù ba，hái hǎo. There's no major disadvantage. It's allright. On a computer: Right click on the button and select "Save as" or "Download"